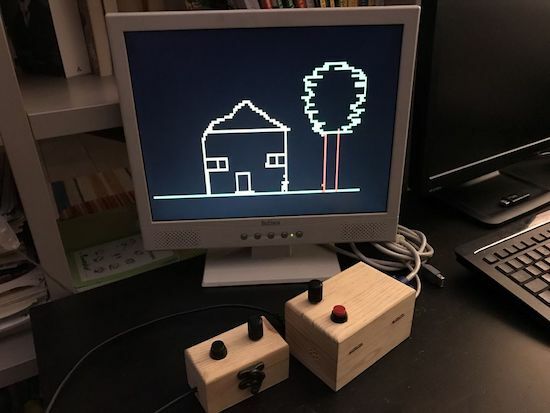 After building a Pong game using an Arduino Uno and a VGA monitor, Rob Cai realized this same setup could be used to make Etch A Sketch-style drawings. 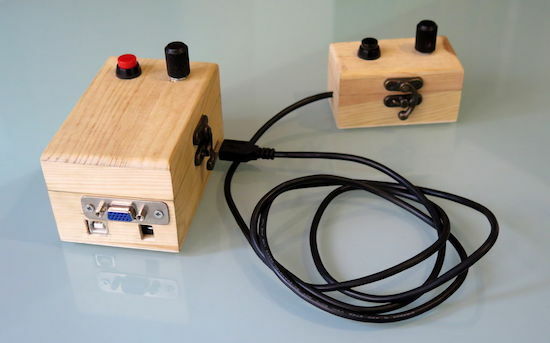 Control is surprisingly “Pong-compatible” with two boxes, each with a potentiometer and a button. One knob moves the cursor horizontally and the other vertically. 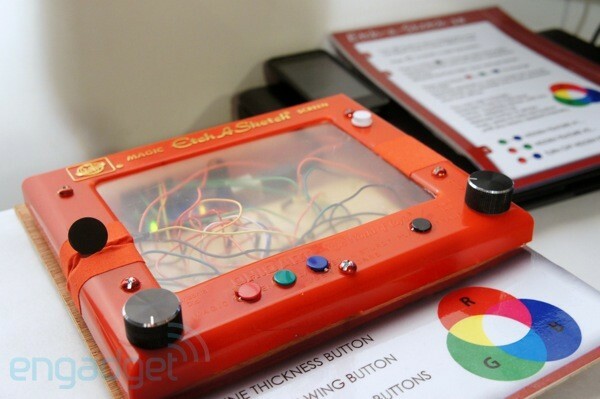 Unlike an actual Etch A Sketch from your childhood, one button chooses the line color, while the other resets the screen (instead of shaking). His system takes advantage of Sandro Maffiodo’s VGAx library, meaning it doesn’t need much more than a sacrificial VGA cable to draw a low-resolution picture on the display. 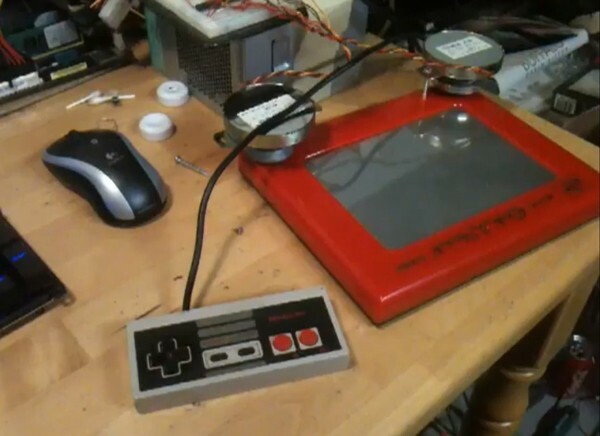 You can check out Cai’s Etch A Sketch on Instructables, where you’ll also find the project in its Pong form.